Faith Forward: From Visitor to Leader is the member integration and leader development program at First Unitarian Church of Dallas. We continue to develop the program and want to share with you some of what we're learning. This is a vibrant season for our congregations. At this time of year we celebrate Ingathering Sunday, and even though things never stopped over the summer, energy surges as we begin a new church year. New faces are joining us for Sunday worship, and congregants are reconnecting with their Unitarian Universalist faith. Every August, leading up to Ingathering, we offer our “Seeker Sermons” on UU fundamentals, and we encourage people to bring their friends. We need to be ready to welcome visitors and share about our church and Unitarian Universalism. Another way we welcome visitors is by equipping our members to speak about our Unitarian Universalist faith in a succinct and meaningful way. In August we offered UU Elevator Speech. This three-session class is an opportunity for participants to articulate what it means to be part of this faith tradition and to craft a short speech to share with others. Participants in the UU Elevator Speech class, who ranged from new to long-time members, were overwhelmingly positive about the experience. Everyone said that it helped them articulate what it means to be a Unitarian Universalist, and that they were now more confident sharing their faith. Our members are ready to share the good news of Unitarian Universalism. The UU Elevator Speech series is ideally suited for this time of year. It coincides with our Seeker Sermons, it gets participants excited for the new church year, and it serves as training for those who will represent our church at the welcome tables, at community events, and through service and justice work beyond our walls. Some had the opportunity to put what they learned into practice immediately while volunteering at a local food pantry. Others will have the opportunity to do so at the Dallas Pride Parade and Festival this month. How can your member engagement and faith development offerings enhance your church year? 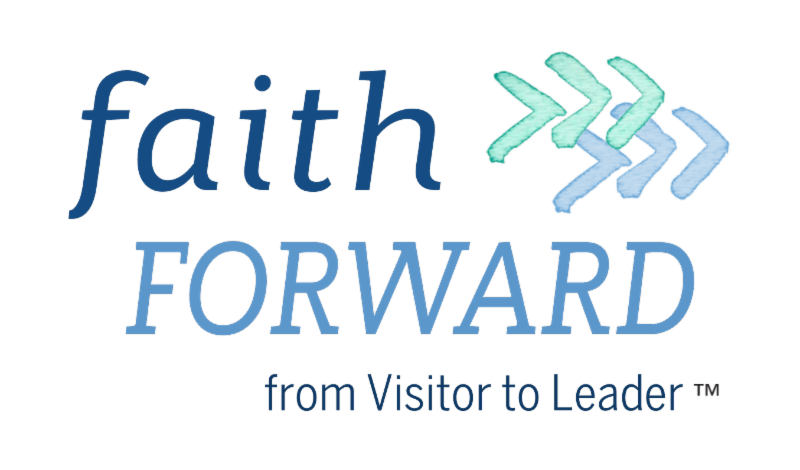 We will share more with you in the coming months about how we use Faith Forward: From Visitor to Leader to meet our congregants again and again, throughout the year, with the growth and learning opportunities they need. "Our faith community gathers to support each other's individual spiritual journey, and we may enter from differing viewpoints, but together as one we seek, serve, and love. We believe that God is too big to fit into any one religion, so Unitarian Universalism is not interested in saving your soul--we're here to help you unfold the beautiful soul you already have "